Green Power was a KA1 multiactivity project coordinated by MVNGO and composed of a Training Couse and a Youth Exchange. Green Power involved a target of social workers, educators and environmental activists as a means to create a shared pattern wherein to pool knowledge and experiences, Exchange good practices and usher in a network of Young people actively engaged in green issues. – Encourage flows of knowledge between participants and experts who, through their skills, will provide useful information and will bring concrete examples of success. – Increase young people’s awareness of their fundamental role in rural areas. 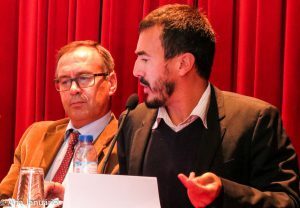 Emphasis will be placed on how they should be the protagonists of the process of social transformation towards more sustainable and innovative models from an environmental and employment point of view. – To enrich the knowledge on the environment and on its social relevance. The issue of environmental sustainability has been addressed under the lens of the creation of new opportunities for employability and entrepreneurship for young people in rural areas. “Green Power” Training Course. 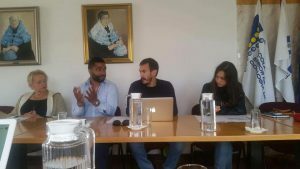 The Training Course was implemented in Tempio Pausania between 2 and 10 July 2015, with the involvement of youth workers from Italy, Austria, Greece, Romania, Poland, Slovenia, Spain and Croatia. 2. Youth exchange “Let’s live sustainable!”. The Youth Exchange took place in Uri between 30 March and 7 April 2016 with the participation of young people interested in environmental issues from all partner countries. Mine Vaganti NGO is official partner of the K2 Youth “Fit2Fit” which involves NGOs from Portugal, Croatia and Italy. 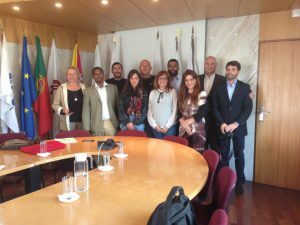 The project is coordinated by the Portuguese organization IUNA. The Fit2Fit project will run from February 2015 to December 2016. 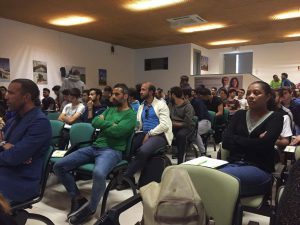 The project is complex, but, at the same time ambitious, as it aims to study and survey good practices for social inclusion through sport at a national and international level. 1) the idea of being physically in form and “fit”. 2) the idea of being included and part of society. In this case, the underlying idea that is through sport it is possible “fit in” or include young people in society. In this way, it is intended to focus in the areas of creating soft skills, youth employment, social entrepreneurship, innovation, training, network interconnection, healthy behaviors, inter-relational dialogue, inclusion or social action, among others. -Elaboration and spreading of a handbook of Good Practices. The projects design will allow to involve about 3.000 young people with fewer opportunities. The monitoring of this project will be done through the Fit2Fit Platform, a webpage where it will be possible to find all the information regarding the project, including technical information, and information about the participants, the partners, public and private researchers. Education through Sport Days (3rd edition) and Inclusion through Sport Congress (4th edition). Draw up a handbook of good practices is the last step. This manual will summarize the entire project, contain the ID good practices projects created in the course of Fit2Fit campaign, and the evaluation and dissemination of the final results. This project relies on national partners, such as the National Plan of Ethics in Sport, Coimbra Education School, Coimbra Nursing School, but also European partners, such as Mine Vaganti (Italy) and Riječki Sportski Savez (Croatia). It is funded by the Erasmus + Programme, under Key Action 2: in particular through the application supported in action 2: Strategic Partnerships.